COMOX, B.C- The skies of the Comox Valley will be hosting the Snowbirds again next year. 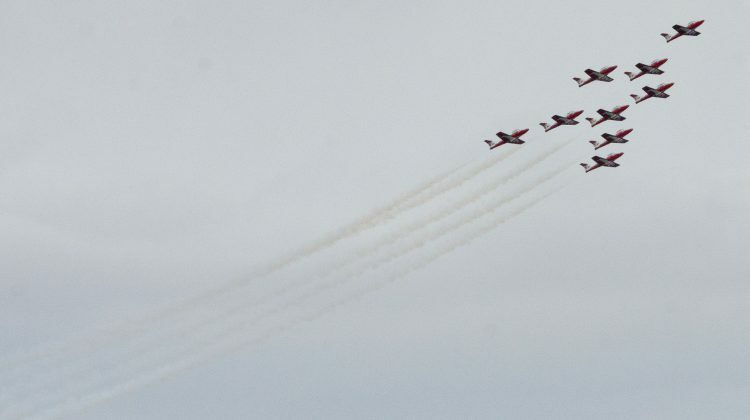 The team will also be coming back to the Valley for their regular practice sessions before the airshow season. That’s according to the Comox Valley Record, which reported confirmation by 19 Wing Comox. The report states that the team will be coming back in April. 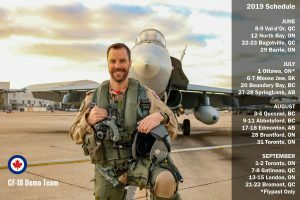 Also of note, the pilot for 2019’s CF-18 demo team has been announced. Captain Brian “Humza” Kilroy will be flying the aircraft. Captain Brian Kilroy, image sourced from RCAF. Kilroy was born in Grande Prairie, Alberta, and grew up in Stony Plain. 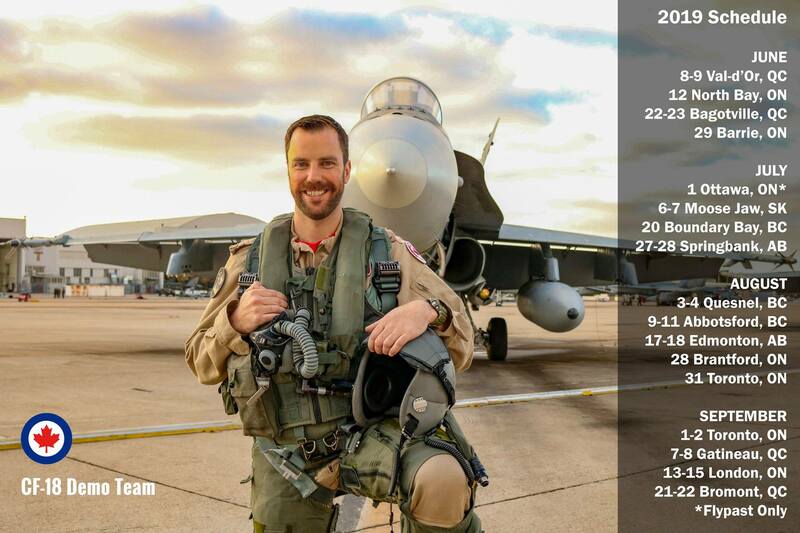 He joined the Canadian Forces in 2006, and was posted to 409 Tactical Fighter Squadron at 4 Wing Cold Lake as an operational fighter pilot in 2013. He has been deployed with on international NATO and Canadian Armed Forces missions. Currently, he is a four-ship lead and qualified Electronic Warfare Instructor with 410 Tactical Fighter (Operational Training) Squadron. 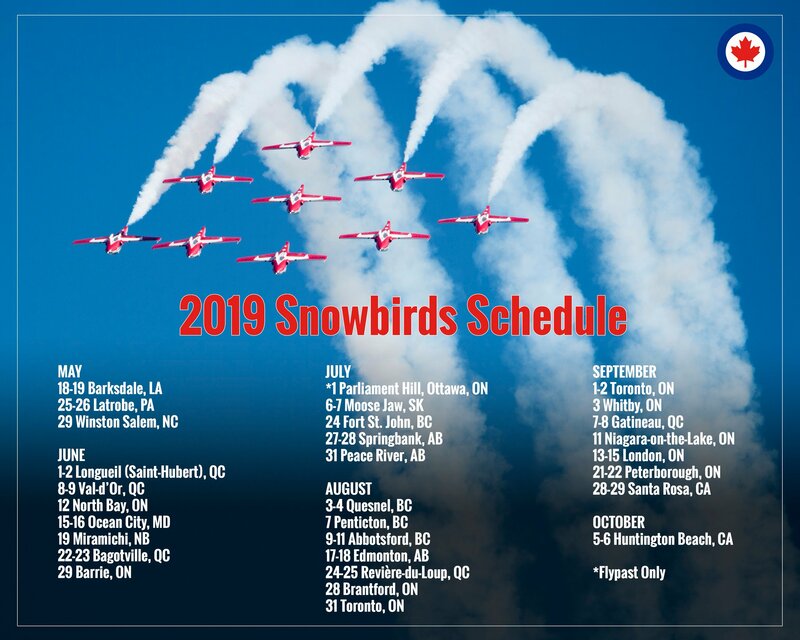 The theme for this year’s demo is to celebrate the history of Canada’s air force, and to highlight the role of the Canadian forces in NATO.